Places to see in Kaleej Valley: It is the peculiar charm of Kaleej Valley, which has laid its spell on many visitors. There is an exquisite temple of Yuma Samyo Manghim, where the followers of Yuma Samyo religion worship. There is a huge stone in front of the temple, where the great mystic Guru Teyongsi Srijunga used to sit and deliver Yuma Samyo sermons to his followers. You can walk for around ten minutes above the nearby 13th mile village, to spot the Kailash Pati Gufa, a centuries old cave temple. The place is highly revered by both the locals and the tourists and it is visited by hundred of worshippers during Shivaratri. The Ally cave or Allay gufa is located a kilometer westward from nearby Bermiok Bazar. It is also an ancient cave temple, where Lord Shiva is worshiped. Nearby attractions of Kaleej Valley: If you want to explore the region, further, make a trip to the Srijunga Falls and caves. The beauty of the Srijunga waterfalls along Reshi River, known as Srijunga Wadhan is breathtaking. The Srijunga Phuku or caves is also famous and boasts historical importance. Nestled at Berthang at the converging point of Kaleez and Rangsang Rivers is Berthang Berfok Mangerjong. Do not miss the Pheng Doji Falls, spotted at a desolate place at Hee-Gaon along Hee Khola. The sulphur mixed hot spring, popularly known as Phur-Tsa-Chau situated beneath Legship – Jorethang road between Reshi and Legship along the bank of Rangit River is also a very popular destination. 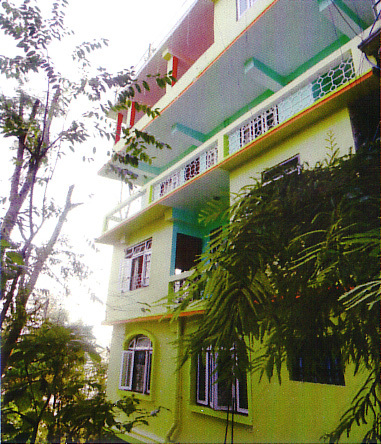 You can also pay a visit to the Rabindranath Smritiban, named after the Noble Laureate, Rabindranath Tagore, who stayed here for sometime. The Hee Water Garden nestled at the bank of Hee-Khola is also noteworthy. The water garden is admired with the biggest Mani Chukar (Buddhist prayer wheel rotated by the current of water) found across the globe. You will also find a swimming pool, cafeteria, Gazebo (a resting place) and a temple of Shiva in this picturesque water garden. There is also a watchtower just above the Alley cave temple at upper Marrtam, from where you can also catch a spectacular view of Mt. 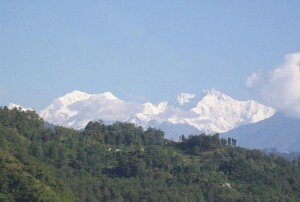 Kanchenjungha. Nestled atop Yumang Thegu is a grand statue of Teyongsi Sirijunga, measuring 65 feet. There is a lake just beneath it, offering boating facilities known as Chaaya Taal. You can also make a trip to the Resum Monastery in the early morning to savor a spectacular sunrise over Mt. Kanchenjungha. 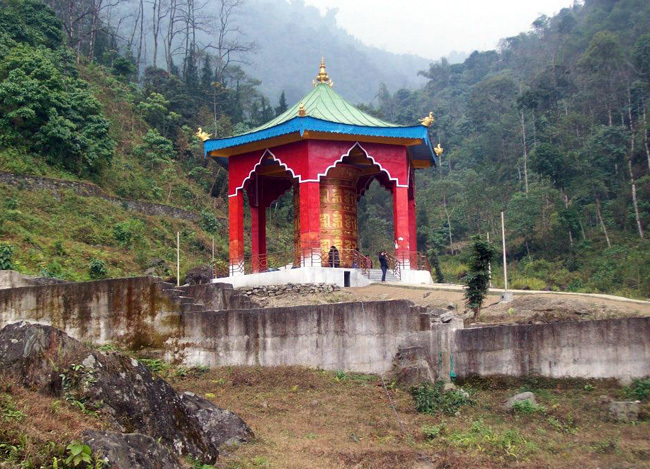 Some other nearby popular sightseeing destinations include Changay Falls, Singshore bridge, Pemangytse Monastery, Rabdentse Ruins and Pelling. Nunthaley grassy flat field at 7350 feet is another great attraction. Nunthaley is located at the top of Radu-Khandu, and surrounded by Bajrathey Temple, Jor Pokhari, Goru Jurey and Narayan Gumpa. 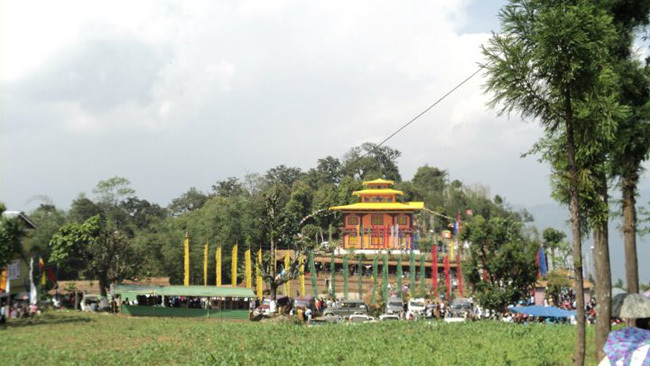 Nunthaley is best place to witness the panoramic view of Mt. Kanchendzonga. Things to do in Kaleej Valley: Kaleej Valley is a huge attraction for the trek and nature enthusiasts. You can take a 19 km long nature walk all the way to the Barsey Rhododendron Sanctuary through the Red Panda Gate. This stone paved smooth route is 6 ft wide and crosses waterfalls, rivers, valleys, mountain villages and countless streams. It is also a mountain biking trail and tourists truly enjoy this trek. Enjoy village walk or nature trail along the picturesque landscape of the destination. From Kaleej Valley, you can drive to Chaaya Taal and walk just 1 km to reach the Barsey Rhododendron Sanctuary through the Red Panda Gate. 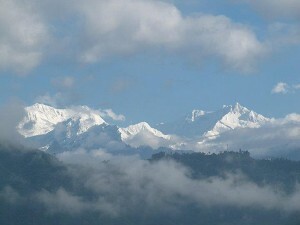 You can also visit the nearby mountain villages and trek to various view points located all along the valley. How to reach Kaleej Valley: The nearest airport of Kaleej Valley is the Bagdogra Airport, which is connected with regular flights from Kolkata. The airport is located at a distance of 150 km from Kaleej. The closest railway station of the Kaleej Valley is New Jalpaiguri, located at a distance of around 140 kms. 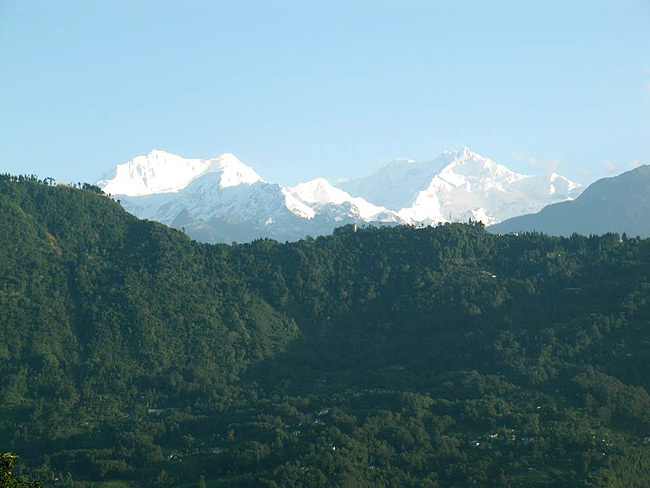 You can hire cars from New Jalpaiguri to reach Kaleej Valley or can take up shared cars or buses to Pelling and then take cars to Kaleej Valley. Best time to visit Kaleej Valley: If you want to see Mt. Kanchenjungha in all its brilliance, then visit Kaleej Valley in the winters – between October and February. March to April is the ideal time to trek all along the valley and witness the beauty of the blooming Rhododendrons. In April and May, the Hee Bermiok Tourism Development & Heritage Conservation Society organizes a tourist festival, centering the Monastery, which upholds the rich local culture and tradition. Lodging and dining facilities in Kaleej Valley: The hotel in Kaleej Valley offers all Mt. 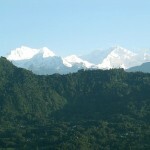 Kanchenjungha and valley facing rooms with a rooftop restaurant having spectacular views of the mountains. All the rooms are equipped with attached western bathrooms and hot water Geysers. You can also watch television in the evenings or arrange a small party in the rooftop restaurant. The rooms are well furnished with all standard modern amenities. The most admirable feature of the hotel is its rooftop restaurant offering Indian, Chinese and local cuisine to relish. Complimentary Bed Tea is also offered to every guest in the hotel.